Amanda Vandervort is a marketer, public speaker, advisor and cake baker who loves making people smile. ​She the Vice President of Fan Engagement at Major League Soccer (MLS), the top-tier men's professional league in the United States. In 2016, Amanda served as the fifth female President of United Soccer Coaches (previously called the NSCAA), the largest non-profit coaches' association in the world. She is also an avid baker and enjoys decorating extravagant cakes for sports events, parties, birthdays and weddings. ​Amanda is a service-oriented leader who believes in a diverse and inclusive world where anyone who wants to get involved in soccer has the access and opportunity to do so, and then the education and support to succeed. ​She dedicates her personal time to women's soccer and youth development and volunteers for several non-profit organizations dedicated to transforming community through soccer. Amanda has built her career in professional soccer, leveraging new media and technologies to deliver compelling fan experiences that build community and drive consumer engagement. Today, as the Vice President of Fan Engagement at Major League Soccer (MLS), Amanda works closely with League and Club executives to support their business planning and develop fan engagement programming. She previously served as the League's Vice President of Social Media and Customer Relationship Management (CRM) where she spearheaded the direction and overall strategy for the league’s direct-to-fan marketing (email and mobile messaging), database management and social media. ​A key part of the explosive growth across the league’s digital and media properties, Amanda's work was instrumental in MLS winning Sports Business Journal’s 2018 Best in Social Media Award. 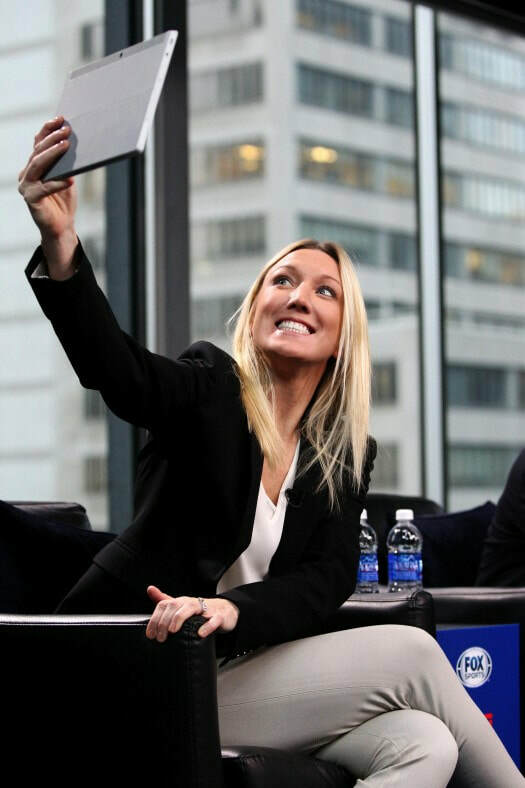 Amanda was honored as a Sports Business Journal Game Changer in 2016, and has been a featured speaker at several top sports business conferences and events, including Leaders in Football, SX Sports, SoccerEx USA and the FIFA Women’s World Cup Symposiums in Germany and Canada. ​Amanda has an affection for non-profit governance, leadership development and organizational growth. She's actively served the soccer community on boards and committees throughout her career. 2018 - present | AFDP Global funds, supports and partners with organizations to unite and transform communities through football. ​2012-2017 | United Soccer Coaches inspires coaches and ignites their passion for the game so they pass it on to players and others in the soccer community. Amanda's custom-designed cakes, known as "Vandeycakes," have been featured at soccer events, weddings and birthdays. She even had a full-page spread in Soccer Business Journal. Ask anybody at Major League Soccer and they'll tell you, "Vandeycakes are the best!" Visit Vandeycakes.com to learn more.